Quality Upgrades throughout! 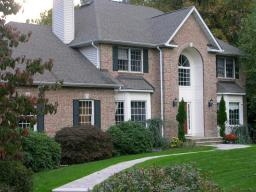 Located in the prestigious community of Pleasant Ridge Estates. All public utilities. Eastern Randolph Location. Minutes to Morristown Train Station and NYC Rails. Convenient to major transportation routes, restaurants, and shopping. Friendly neighborhood with well rated schools. Interior Features Imagine coming home to your dream house! That's exactly how you will feel when you enter this home through the dramatic 2 story foyer, with impressive moldings and staircase, that says Welcome! A grand formal dining room, that accommodates a 10 ft table with room to spare, and the centrally located living room, flank the foyer and create an entertainer's dream as they flow to the light and bright spacious kitchen. A 6' center island, granite countertops, beautiful oak cabinets, a pantry and the large breakfast nook continues the appeal. The adjoining family room makes for a cozy, comfortable living area. All surrounded with lush greens and gardens. Combine all of this together, and entertaining is a breeze! Off the kitchen you will find an amazing bonus room with a marble surround, floor to celing, gas fireplace. Exterior Features This "bonus" room can be used as a game, 2nd family room, or a guest or in-law suite. Adjacent is the first floor bath, laundry room and 5th bedroom/office. The kitchen provides access to a large rear deck that overlooks the play area (complete with tree house), the fenced in garden escape, and the in-ground pool with large paver patio. On the lower level, is an amazing multi-use finished, walk-out basement with a recreation and TV area, and storage opportunities, as well as utilities. Additional Features and Amenities The luxurious master bedroom and master bath, with jetted tub, stall shower and separate commode closet, offers a large walk-in closet that also provides walk-in access to a large attic storage space. Three roomy bedrooms and a full bath, round out the second floor where a spacious hall provides a sweeping view of the foyer below.